WEEKLY RATES STARTING AT $3500. 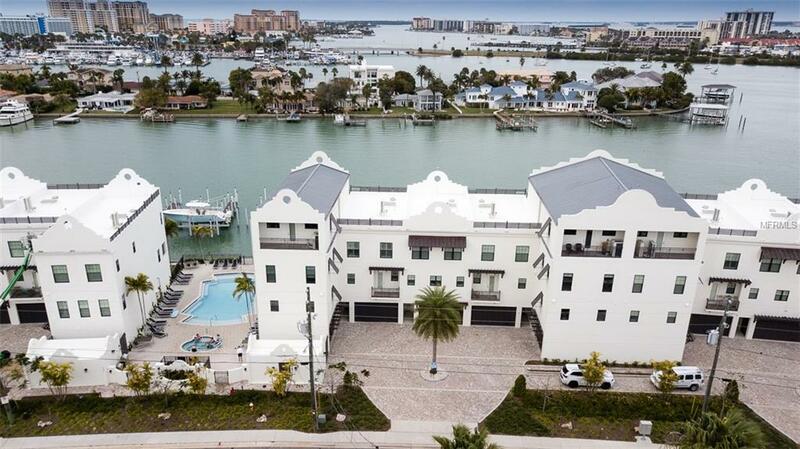 Amazing, Brand New WATERFRONT VACATION RENTAL on CLEARWATER BEACH with BREATHTAKING VIEWS!!! Available MONTHLY and WEEKLY. Beautifully furnished throughout with high end finishes. Spacious 3 bedroom, 2 1/2 bath that SLEEPS 8. Private 2 car garage and BOAT SLIP included. Only steps to the Waterfront Pool/Spa and outdoor entertaining area with grills. Great location within easy walking distance to Clearwater's most beautiful beaches or hop on the FREE Beach Trolley close to shopping, Pier 60, and many restaurants. Short drive to the Aquarium and Sand Key State Park. Enjoy the views as you relax on TWO waterfront balconies overlooking Clearwater Bay. A luxurious private retreat with a resort like feel. Come enjoy yourself in the SUNSHINE! BOOK YOUR GETAWAY NOW! Call for availability and seasonal / off season rates .